This is a follow up to my November 13, 2009 publication on Seller Protection in a Short Sale. We have assisted in drafting and published on Ameriforms the new Addendum To Listing Agreement—Short Sale . This new form serves to better assist your selling client in understanding short sales. The document was rearranged to allow for warnings and suggestions to meet the professional of their choice in the first section of the Addendum, in stead of the second page where it was before. 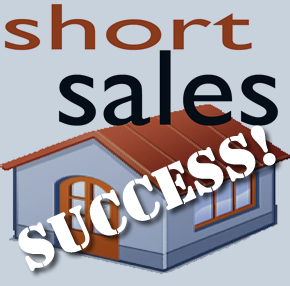 Acknowledgement of Short Sale. The Short Sale is described and the Seller is warned that the Broker has no control over Lender approval and that Lender’s approval may take several weeks or months to obtain. Seller Options. Seller is warned that there may be disadvantages to a short sale, that they should explore other options with Lender (and other appropriate professionals, such as attorneys, accountants, and qualified housing and credit counselors) such as loan modification or revised repayment plan; refinancing with Lender or another lender; bankruptcy; or voluntary deed-in-lieu of foreclosure. Consequences of Short Sale. The Seller is warned that there are legal, tax and credit consequences. That a short sale may adversely affect Seller’s credit score. Seller may be required to pay the difference of the forgiven debt as a personal obligation, they may be sued, and may get a judgment against them. Where a portion of a debt is forgiven the lender may issue a 1099 form to Seller. Foreclosure. Seller understands that failure to make loan payments during the short sale process may result in foreclosure of the Property by Lender.